Nisim is a proud Canadian company and Canada is a land of fresh air, clean water and beautiful wilderness. Our top priority is minimizing our carbon footprint and we are advancing toward that goal by initiating a process to use only recycled or recyclable materials in new packaging and marketing materials. All packaging is being replaced with 100% post consumer waste or produced from certified managed forest products. We recognize our responsibility to reduce consumption of water, waste and energy in our business and are focused on integrating greater environmental sustainability throughout our day to day practises. Our products come with presentable consumer retail packaging, however, in an effort to reduce our environmental impact, we offer the opportunity to have products shipped without external packaging. This provides you the opportunity to help us reduce landfill waste. Please let us know and we would be happy to help you become an active participant in our waste reduction goal. Nisim’s production facilities and office are 100% “ Bullfrogpowered” with renewable energy. This means we purchase Green energy to offset all power consumption within our office and production facilities. 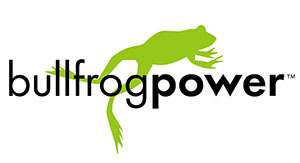 Learn more about Bullfrogpowered here. Nisim does not engage in any animal testing. Nisim does not conduct any testing of any of its products or ingredients on animals. All products are lab tested to ensure they are safe for human use. Nisim strives to be an active participant in social causes and communities. Nisim has made a pledge to help the communities we are associated or partnered with. Nisim is a proud supporter of Angel Hair for Kids, National Alopecia Areata Foundation, Look Good Feel Better, Direct Relief International, as well several other charitable organizations. We are the single largest donor to Angel Hair for Kids, an organization which provides wigs for children with hair loss due to chemotherapy or other medical conditions. The hair for the wigs is primarily donated by children with no immediate connection to Angel Hair for Kids. Nisim donates $1.00 for each ponytail donated and offers the donors a discount of 50% off the purchase price on FAST shampoo to grow their hair back rapidly. We have supported Direct Relief International for over 10 years. We have provided free product and financial support for disasters around the world. Direct Relief has helped address such disasters as the Tsunami in the Philippines, Hurricane Katrina, and the Haiti Earthquake. We have been a major donor to the Look Good Feel Good organization that helps women dealing with the difficulties from undergoing chemotherapy. We were a platinum sponsor in 2006 with a donation of over $250,000.00 worth of products, to help women grow back the hair they lost after chemotherapy. Nisim is committed to ethical advertising and stands behind all of its products with a 100% Money Back Guarantee. We believe in our products and our customers. We have always had a policy of refunding our customers if they are not pleased with our products for any reason. We have a “no questions, no hassle” refund policy. We strive to make you happy even if the products did not perform as you expected or you are not happy with your purchase for any reason.